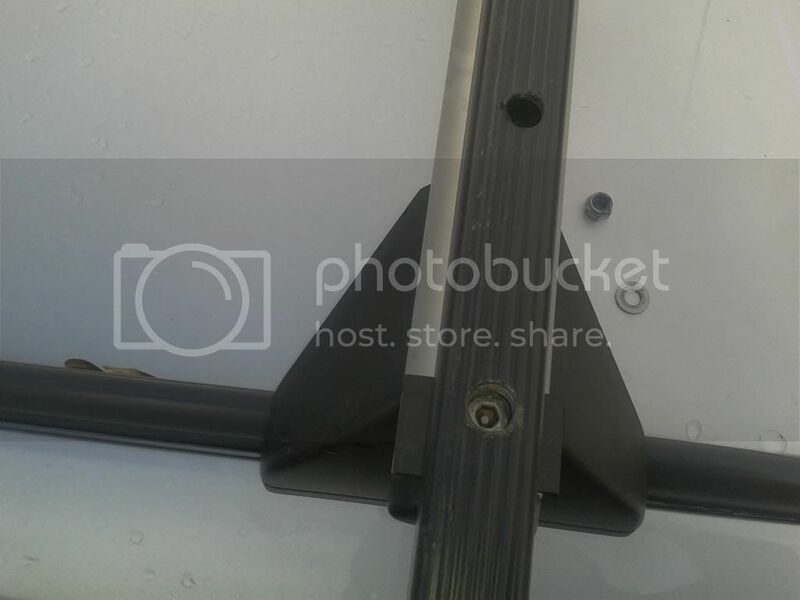 I have perused all the threads on extending roof bars so 2 canoes can sit side by side, and the best solution for temporarily but sturdily extending thule square bars seems to be adding some box section steel to each side - 4 sections in all? 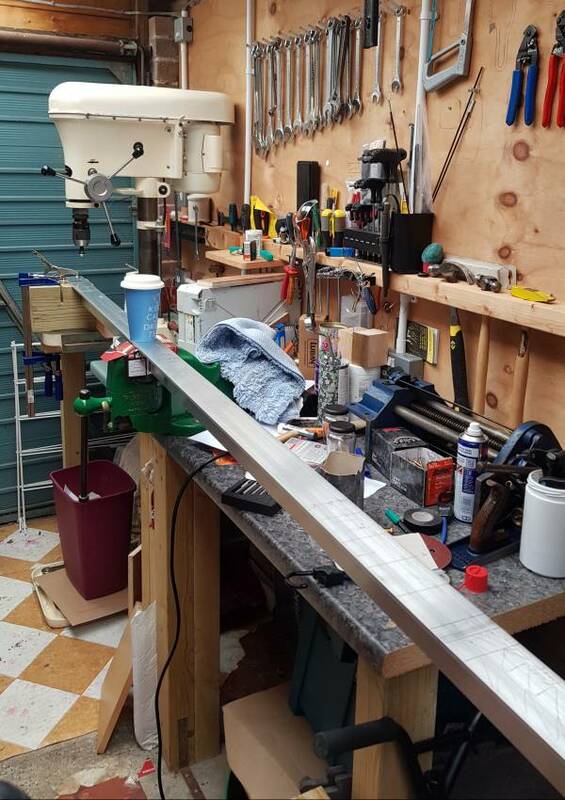 Just wondering if anyone has successfully done this and what size and length box section you used and fixing method worked best for you? I have done it on other manufacturers square / rectangular bars. mine was an external sleeve, the important dimension being the vertical one where it has to be an interference fit. width isn't as important they are fixed by a single 6mm bolt and nylock horizontally through the bar and extension piece. I have some photos inf you pm me with an email address. Chris_B may have an answer for that. Chris has looked into this sort of thing from and insurance point of view. But in the mean time we have to consider the insurance situation. An improvised adaption, although secure in our eyes may have bad implications in the event of an accident. You can buy Thule square bars in various lengths. You need to check that slots match your car. Thule Pro bars have slots on their full length. 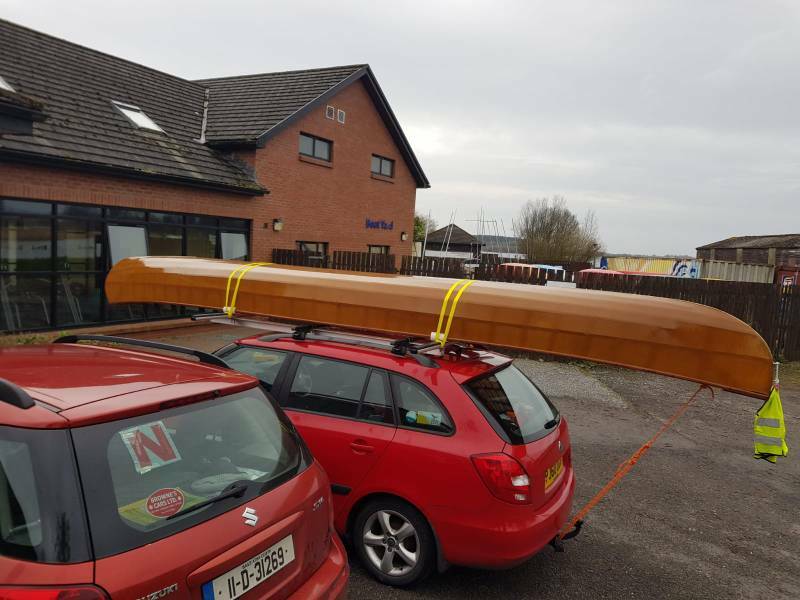 In the past I have used 50mm x 50mm timber bars to the width required strapped to the roof bars, they worked for carrying 2 and even 3 canoes. Although now I wouldn't recommend it. Carried over 200 miles like this. I have longer bars that I bolt on top of the standard ones. They are easy to remove and fit using cap head bolts and nyloc nuts. Very sturdy. The bars are narrower than my wing mirrors, but wide enough for two canoes. The heads of the bolts are inside the top bar so don't interfere with loading the canoes. The bolts are easily fittted using an allen key and ratchet spanner. The rubber spacers stay on the bolts when the extension bars are removed. Last edited by Big Al. ; 5th-March-2019 at 06:38 AM. I do pretty much what Big Al does except I have the square head bolts that slide into the channel in the lower bars. I would strongly recommend using two long bars fitted on top of your narrow bars rather than trying to add 4 short extensions as the failure points are far less and the loads on the joints far less. 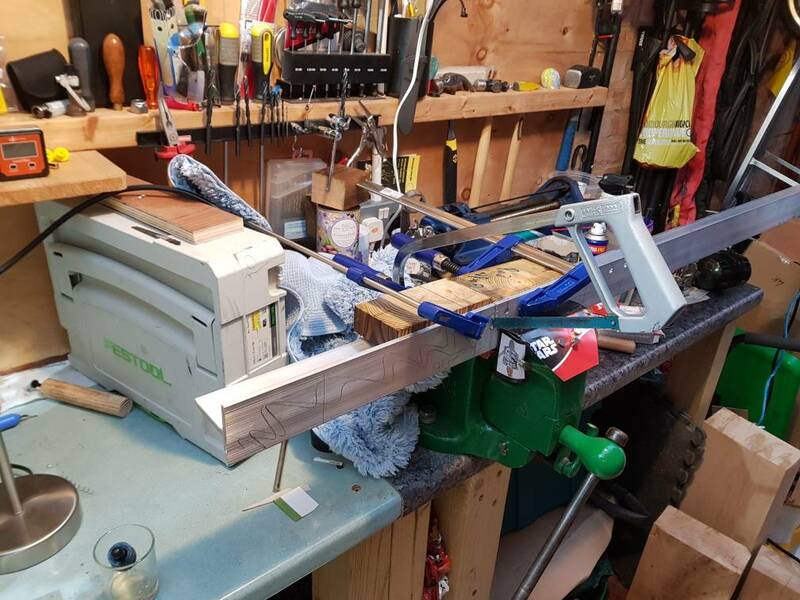 When strapping the canoes on I always make sure than on the inside at least the straps go under both bars so that the original bar mounts would need to fail for the canoes to be able to come off. I use a (I think) 25mm square steel from B&Q fixed to the top of the roof bar with exhaust pipe clamps. It means I am not drilling anything to make it weaker. I cut the bar to the width of the wing mirrors, about 6 feet and use pipe lagging to protect the ends and reduce sliding. I've done several 1500mile journeys like this without problem. There appears to be no flex. 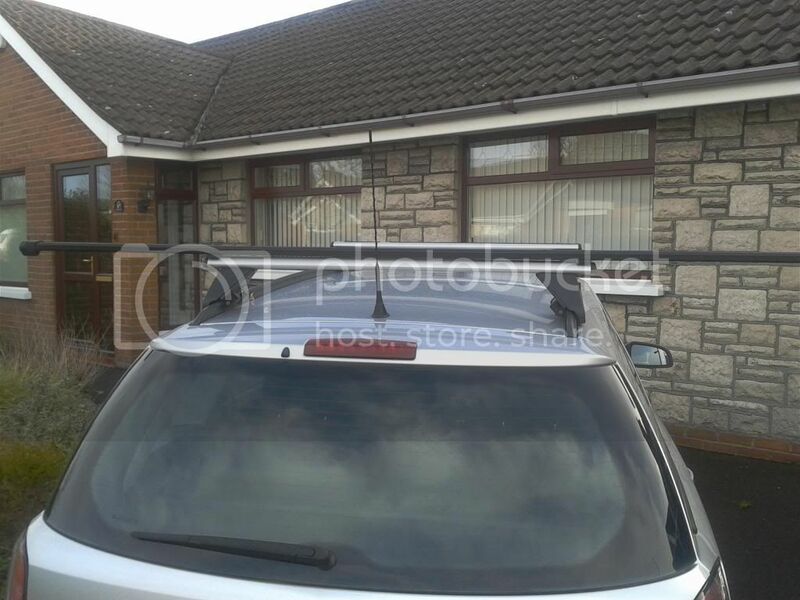 Modifying the roof bars could be a problem with insurance etc. 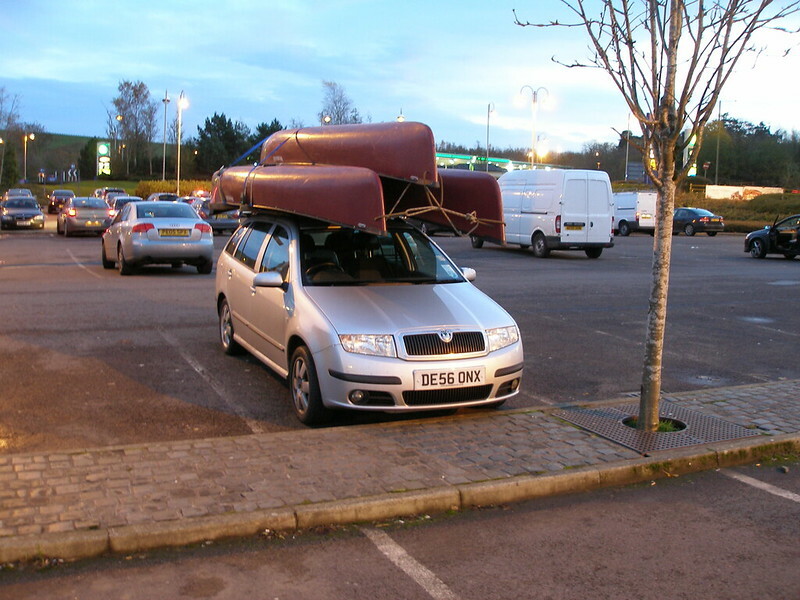 but Adrian's solution I'm sure would be viewed as part of the load, not part of the roof rack. My reccommendation would be to think in terms of something that straps/ties onto the roof rack which is in itself stable as a load. If your bar positions are fixed, you might add one or more longitudinals to ensure that the transverse bars cannot slip off the roof bars, but do watch out for roof curvature which causes the bars to not be parallel. 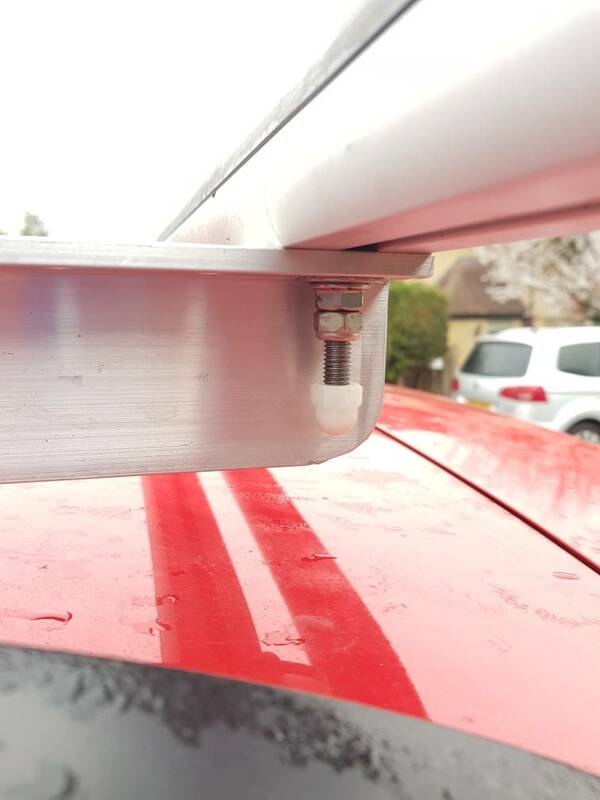 If your roof bars end up in a different position each time you fit them, fixing longitudinals will be more challenging. Also watch out for the total weight creeping up - the weight of the roof bars themselves detract from the weight of load available. 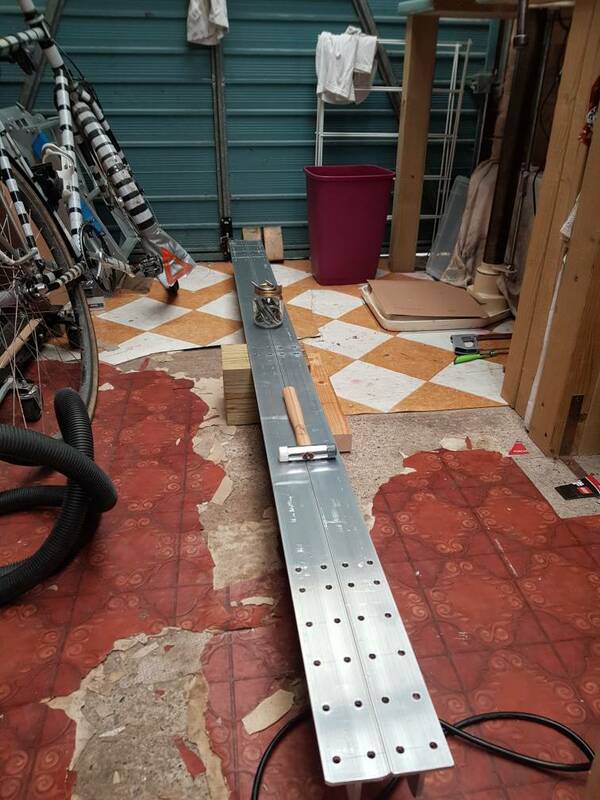 In time I make a post about constructing this right but I've still got the part of it to build positioning a roler extension mounted to the rear bar. thanks very much everyone for your advice and solutions ! Ewan, what internal diameter u bolt did you use that fits nicely like that around a thule square bar? 30mm? Last edited by smurf; 6th-March-2019 at 04:25 PM. Very happy with this arrangment! I was away when this thread started and missed it, but I see dougoutcanoe mentioned I might have some thoughts. My old car had a square bar rack made when the feet wrapped around the bars, without slots, so I was able to fit longer Thule bars directly. 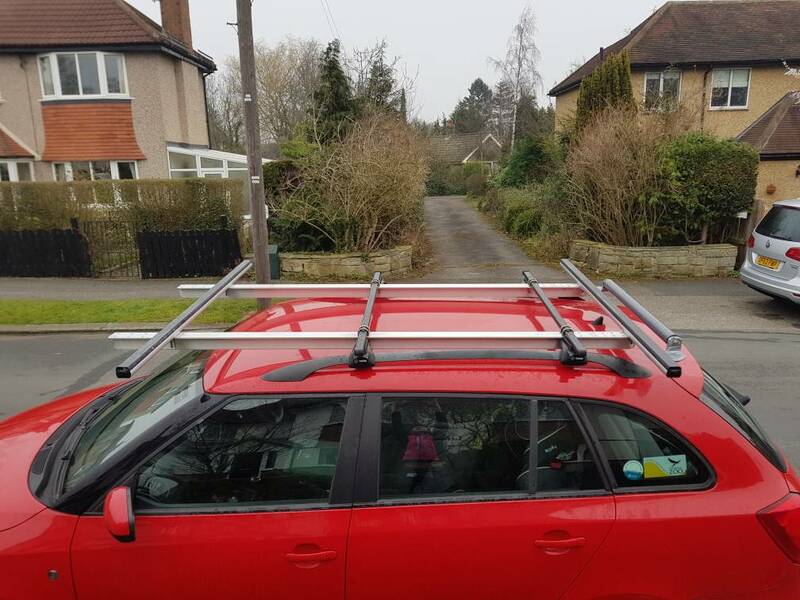 I replaced it in 2015 and went for Thule ProBars, which have full length slots and are available up to 2m long. So far as insurance is concerned, most require you to inform them if you modify the car. 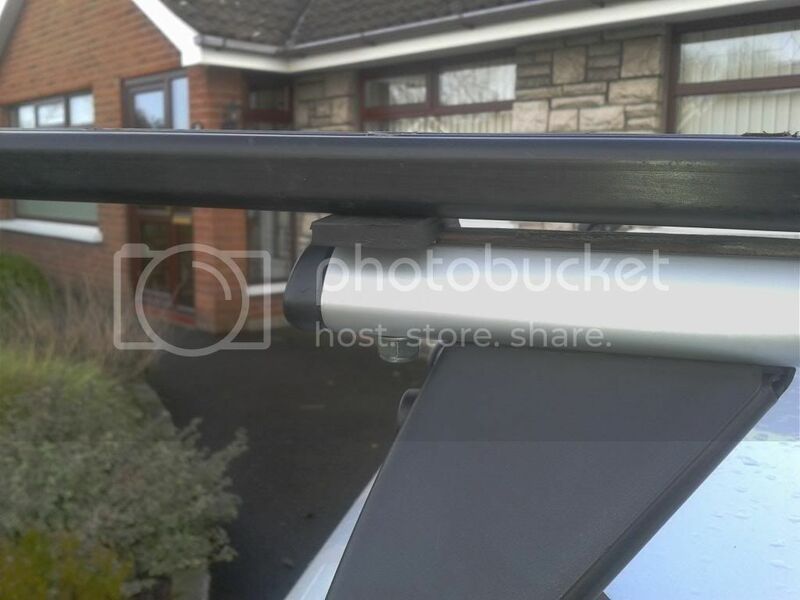 Some insurers consider fitting any kind of roof rack as a modification, and since you have to tell them about it, I think they'd expect you tell them about mods to the rack too. Others say a roof rack is an accessory, not a mod, and don't need to know. Typically, their attitude is that if it's easily removable (and leaves no trace) it's an accessory, if it's fixed to the car it's a modification. 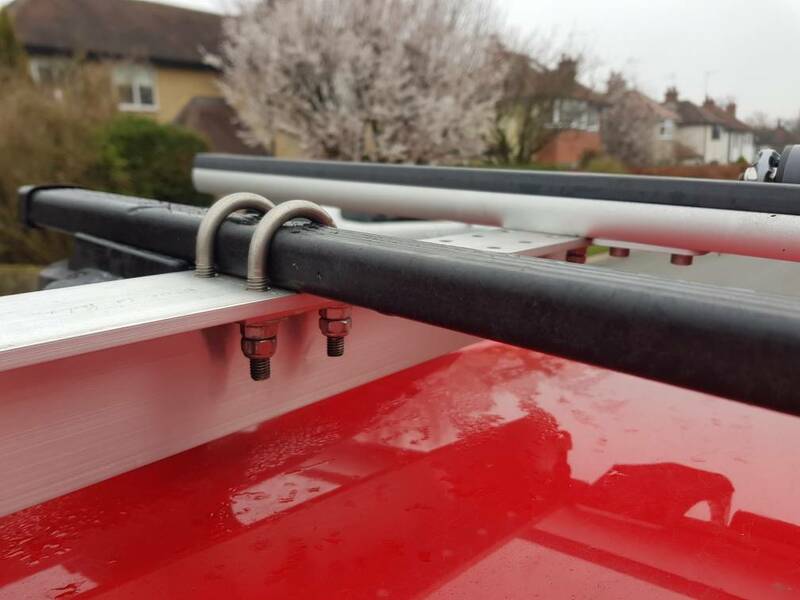 They usually expect you to follow the makers instructions when fitting and using the rack, which is one reason I always tie the boat ends down to the towing points - it's in the instructions. So if the instructions say "Do not modify the rack", you could invalidate your insurance if you do. Depending on the way you modify it, you may be able to say the extended bars are part of the load. Personally, I wouldn't hide anything from the insurer, the potential consequences of not being covered are too high. 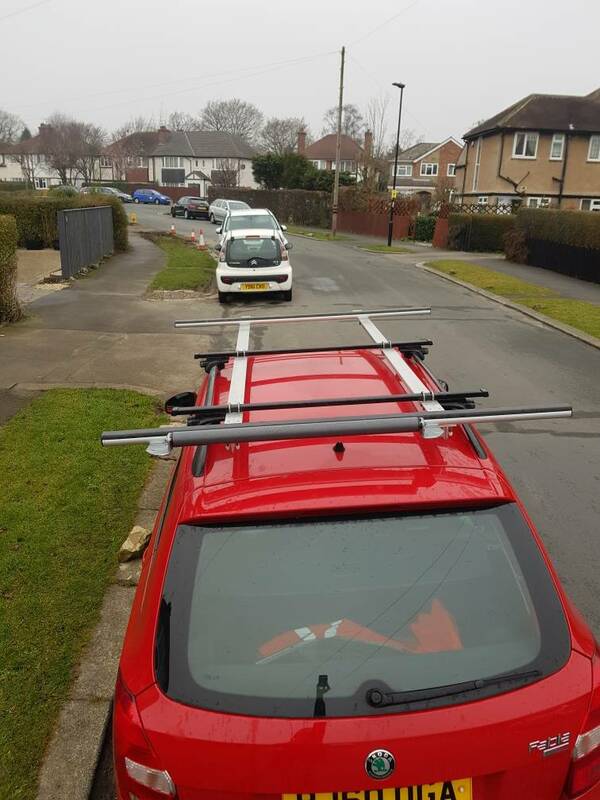 Whether you modify your rack or not, it's worth checking whether your insurer expects you to tell them you use a roof rack - otherwise, they can invalidate the policy when you claim (even if the claim is nothing to do with the rack). I found this the simplest method a they just sit over and round the existing bar using 2x1 box section.